This is the story of Thula Thula, a wildlife preserve in South Africa, and the herd of elephants that came to live there. It’s one of the most gripping nonfiction works that I’ve read in some time. Even if it was just the story of Anthony Lawrence’s interactions with a herd of wild elephants that he took on at first reluctantly and then became powerfully connected to, it would have made a worthwhile read. However, there is so much more to keep one flipping pages. There’s the internecine and tribal warfare among the Zulus that at one point results in a contract being taken out on Lawrence’s life. There are the tales–sometimes happy and sometimes tragic—of the other animals that share Thula Thula with the elephants, including: crocs, rhino, cape buffalo, snakes, and—of course—the humans and their pet dogs. And, sadly, there’s a constant war going on against poachers that occasionally results in a firefight. That said, the stars of this book are undeniably the herd of wild elephants. The author is told these pachyderms are unruly and are to come into the possession of a big game hunter to be shot if he doesn’t take them. There are no elephants in the area of Thula Thula, and taking them on is a big risk. 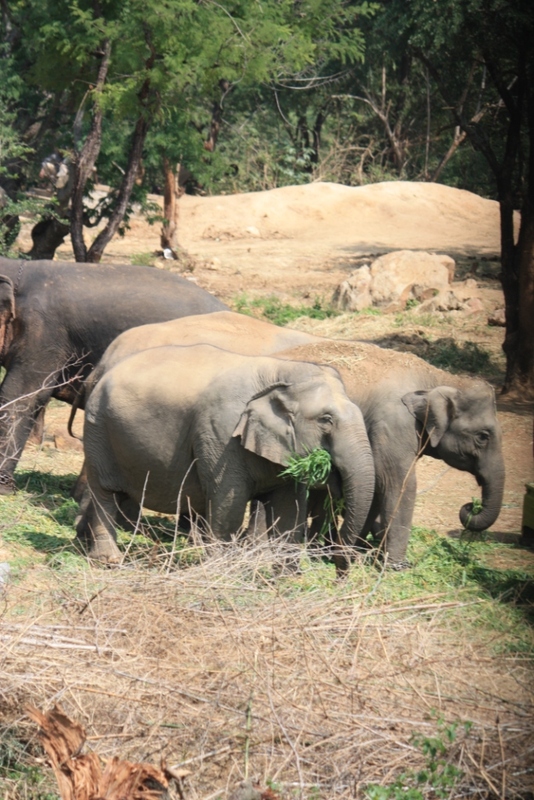 The neighbors are opposed because if the elephants get out they could cause untold damage—even if not maliciously. Furthermore, these elephants have had bad experiences with humans; the only adult bull had recently been killed—making them all the more hostile. These elephants have a history of escape, and when a herd of elephants wants to escape, it’s hard to keep them in. They are five or more tons of raw power. In fact, the herd does escape once early in the book, and a major drama unfolds as a result. There’s pressure on Lawrence to get rid of at least the matriarch and another female, Frankie, who is almost the same size as the matriarch and is even more aggressive. Eventually, he gets the herd to calm down through patience and an attempt to understand them. However, even as the herd becomes calmer and actually friendly toward Lawrence, there are always new challenges popping up. They add an adolescent who comes in alone, its entire family having been killed off. This history makes the new addition skittish, angry toward humans, and dangerously aggressive. Furthermore, the adolescent bull transitions into adulthood and is increasingly pushed away from the herd, but without a male role model. By the book’s end, there is even a new generation being brought into the fold. I won’t tell you this book is all rosy. There are a number of really sad sub-stories within the overall tale of the elephants of Thula Thula. I won’t get into details because these chapter or two long narrative arcs are among the most edge-of-the-seat reading in the book. That said, the overall story is one of triumph. A herd that was on the verge of being eliminated is not only saved, but eventually grows in size due to new births—though, sadly, not without some losses. It’s about successful coexistence and preservation of these species. A lot of the book is about communication, both the stomach-grumbling elephantine intraspecies communication and the interspecies communication between the author and the elephants. It turns out that elephants can communicate with others across great distances, most notably by stomach rumbles that largely take place at a frequency outside human capacity. There’s also humor. There are times when all one can do is to accept that elephants will be elephants and gardens will be trampled and swimming pools will become watering holes. There’s no maliciousness. It’s just that five and six ton animals leave their mark wherever they go. They are intelligent but unsubtle creatures. I’d highly recommend this book to just about anyone. Even if you normally only read commercial fiction, I think that you’ll still find enough tension and intrigue throughout this book to keep you reading. If you’re an animal lover you’ll be engrossed from start to finish even without the poachers, death threats, and, tribal wars. If you’re one of those pathetic old men who think you need rhino horn powder to get it up or need a pair of carved tusks to show your wealth, you should be forced to read the book while an elephant holds its foot over your head. Elephants are paradoxes. They seem like gentle giants–making an end-run around tiny mice. Then you realize that humans are the only animal idiotic enough to screw with one in its natural habitat. OK, if an entire pride of lions can separate one injured elephant from its herd, they might go for it. But, generally, the most fearsome predators in the world look at an elephant and say, “Oh, that would not end well for me.” And, of course, one has to consider that they never forget. If you do piss one off, you have to worry about it coming at you all Tony Soprano-style a decade later. 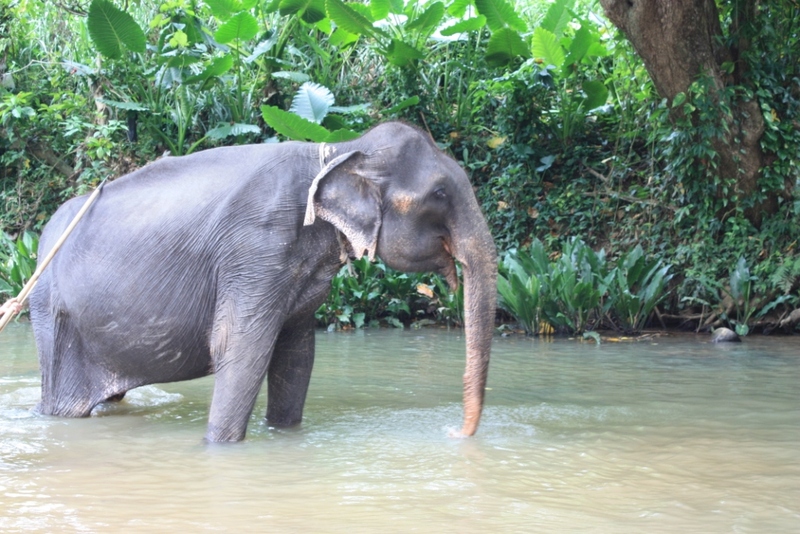 I’ve ridden an elephant in Thailand near the Mae Wang River. It was pleasant. It’s a little terrifying when it goes up or down a steep grade. You have a moment where you think, if this thing topples over, I’m a goner. (You’d have a moment where you hit the ground and said, “I’m alive, I made it.” And then you’d be like, “I didn’t know there was a solar eclipse today” and then” SPLAT!”) At one point, our driver jetted, but–it didn’t matter–the elephant knew where it was going and how to get there. As long as you don’t run out of bananas, the elephant will get you where you’re going. Of course, you will run out of bananas. Fun fact: a person can’t carry enough bananas to satiate an elephant. Then your elephant will get all morose and brooding.